Landstalker is an action RPG released in 1993. It's got an isometric view, something which is quite rare in games, and sounds a bit dated. So does it still hold up? 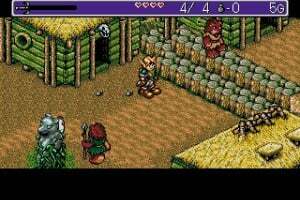 In the game you are Nigel, a treasure hunter who rescues a fairy called Friday from a..
After hearing of the legendary treasure of King Nole, the elvish treasure hunter Nigel undertakes a quest to gather various pieces of the famed loot. His journey takes him through Mercator Island's villages, caves and dungeons that hold King Nole's riches. 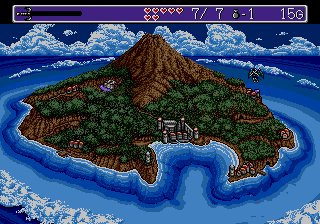 Along the way, he'll have to help the inhabitants of the island while fighting against the treachery of Duke Mercator, who is searching for the treasure as well. A variety of obstacles and foes will try to deter Nigel, who must use all his wits and skills to defeat Duke Mercator and uncover the secret of King Nole's treasure. That was an awesome game... Can't wait to get it ! Excellent news! One of the best RPG's released on the MD. The only annoying thing about this game, is the constant jump sound effect! After hearing it 200,000 times, it gets quite annoying. towards the end, the jumps supposedly get on your nerves but i still want to get it and give it a chance. also, i'm still waiting for Crusader of Centy... we have this, we have beyond oasis... where's centy at? Never played this one unfortunately....did the same creators of Alundra make it? This game is the best. One of my favorite games, ever! 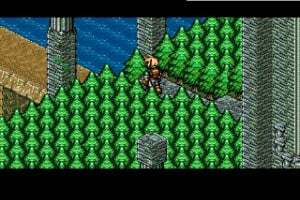 It is very similar to Alundra, ryu. Pretty much the only difference is that this has an isometric view rather than a normal one. This is one of the best games on the MD, and should be experienced by everyone. If we could update it to streamline the controls, I would be happy. Cool, I am starting to get interested in this one. Hopefully SEGA had a battery save system. At -1:30... one of the few superb themes from the game. 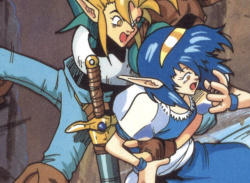 Looks alot like Breath of Fire 3. 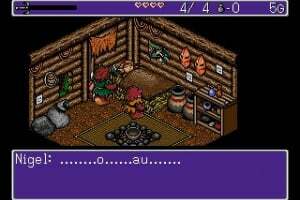 Is it anything like that, RPG, or more of the isometric hack 'n' slash? I have to say I just got the actual cart on ebay because it got such good scores and the control scheme is attrocious. I don't know how anyone can even play it! When you hold a diagonal button it goes up but when you try to switch from going up to left you have to move it in a really awkward way. The controls do indeed take some getting used to (You basically only walk on one axis until you press a certain button) but once you master them it controls like a charm. Jumping bits thankfully don't get too hard until much later in the game, but it's never possible to die because you missed one, you can always go back up and retry. 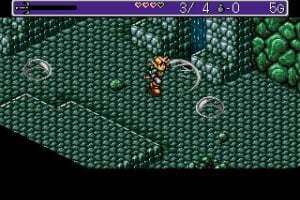 This is #1 on my list of Mega Drive games I want to see on the VC. How do the battles play out? Wonderful game. It feels like it's trying to compete with Zelda: Link to the Past, but I think this game far surpasses it. I keep forgetting about the controls so it's tough to handle, but otherwise it's okay. Pretty average in my opinion. Now that I've completed it, I can say that it is indeed a fun game with some slight flaws. It's mainly the controls I had a quibble with. I don't recommend anyone to play Landstalker with the d-pad. It is way too awkward. Using the classic controller's analog stick instead works wonders on the playability. Still, some of the platforming can take a bit of trial and error, since it is difficult to judge depth of field sometimes. Also, some of the puzzles require a bit too much precise timing; I'm talking milli-seconds here. 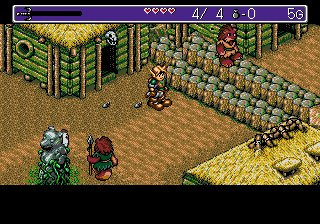 That aside, overall the game makes for a fun, albeit a rather linear, adventure. Yes, one can explore a bit, but, most of time, the game pretty much tells you what needs to be done. It can be quite challenging towards the middle of the game, but towards the end it becomes almost a bit too easy. I'm a bit curious why there's only one set of two sounds for every type of monster, including bosses. One for getting hurt and one for dying. You'd think they could have made at least a few more. While some may want to compare it to Zelda, I find that hard to do. 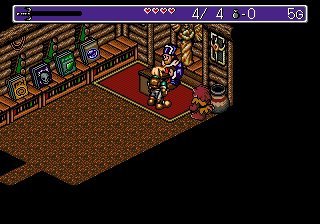 The game is a lot more involved in platforming, action and some rather creative puzzles than the older Zeldas. Also, your character doesn't care about saving the world. No, it's all about big piles of gold! Recommendable to anyone who wants to experience something a bit different from the (sometimes overused) Zelda formula. My favourite game on the MD and one of my favourite games of all time - the only game i have played more is FF7, I rate it that highly! Maybe not for everyone, but definately one for anyone who likes RPGs and the like! This game is great! 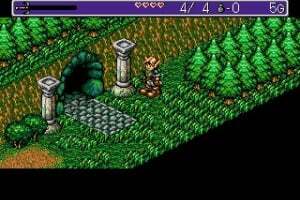 I remember playing it on Sega Channel many years ago. By the time I found the game, it was almost the next month and it was taken off (I could have killed whoever was working for sega channel!) before I could finish it. I played it again years later and after buying the cart for 50 bucks, finally finished it. Now I have it on the virtual console!! 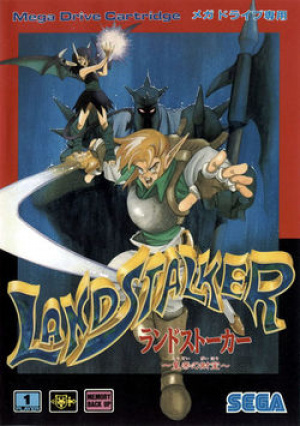 The follow-up of this game for the ps, Alundra, wasn't that great of a game though, very difficult puzzles that required exact timing, needless to say I never finished that game. I only rented it about once or twice when I was little, and loved it, regardless of the fact I couldn`t do crap all due to how unmotivated I was as a kid. Yes, we all know the moving is , more or less, disastrous, but that makes for the challenge! Anyone who can get over such a stupid little thing will love this game. And about the isometric view: I thought of it more like a challenge than a problem, you had to figure out first where to jump when , and suddenly the whole room made sense. Well, a perfect game for me, minus the dungeon theme and the 1 or 2 annoying dungeons. This is a really cool game so far, is there a way to save, or do I just have to suspend play? Is it just me, or does he look kinda like a lego-man Link? Now that I've beaten it, I can safely say that this is one of the top choices for spending your Wii points on. Excellent treasure seeking adventure game with a great sense of humour, challenging puzzles and a nice amount of sidequests. My only nitpick is the somewhat shoddy control. The lack of shadows is unforgivable (it takes a long time to get used to the platforming without them), and the hit detection can be annoying. 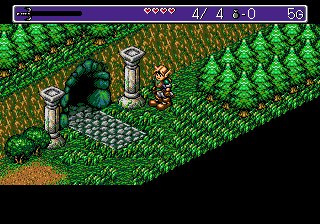 You'll often end up hitting the terrain intead of the enemy with your sword when trying to fight in narrow areas. Highly recommended, one of the MDs best. @Anthony, you can save in the churches. umm... I didn't really like it. Some of the dungeons were just annoying, but this game will always be close to my heart for its good story, fun action, and annoying bosses. 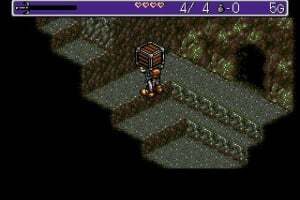 How does the battle system work? Is it like Secret of Mana, Chrono Trigger, or Final Fantasy? This is one of the most over rated games on the site .It's poo. Awesome RPG but the camera angle can get a bit annoying when jumping.Still it's fun to play now as it was years ago. 2hip2beskware, the battle system is similar to Zelda 1, but from a 3/4 view. Which one's better: this or Beyond Oasis? Mr. Cheez - It depends what camera angel you prefer I guess. They're both excellent games. I just picked this game back up today, and I'm really enjoying it. 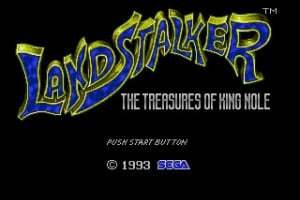 Personally I prefer Landstalker over Beyond Oasis, but they're both worth playing at one point or another. Is this game really hard? I never played it and I'm scared of the controls. The game is moderately hard. It'll just take a little getting use to control wise. Super Mario RPG is played from the same isometric view. This is my first post here, just wanted to say that this game is a super achievement, a must have for everyone. 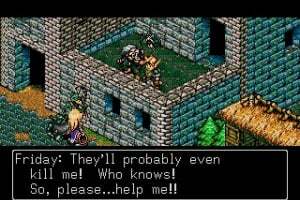 I own the original game for the megadrive, it was my first RPG and one of the best games I've ever played! A MUST HAVE for everyone. I'm into downloading it right now for the Wii, can't wait to play it again. Play on, cheers! Very fun game indeed and worth the points. 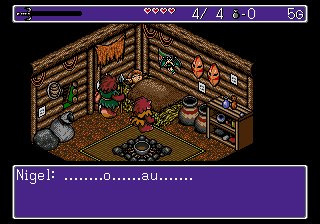 Everyone compares it to Alundra which is a fair comparison since it was made by some of the same people...but the other game that I feel like it was similar to is the NES game StarTropics which is also a good game. 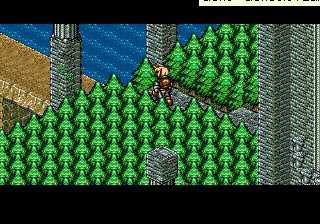 Plays like a 16 bit Alundra, which is fantastic, one of my favourite Mega Drive games. Congratulations, This game is so great. I bought it in 1993, and I played with my children for 3 years, we got finish. Now my grandson love it, is really interesting game to say "We can do it" and every days we can continue the travel to find more and more treasures. I live in Quito-Ecuador, I want to know if genesis can recommend me some game like this, or if is possible get it, to play in the computer. Ughh this is so not worth the points! Why? Because the controls are horrible, and so are the sound effects. Sure, it controls like Super Mario RPG, except that SMRPG had shadows for the player to work with! And even with shadows, it was sometimes difficult to jump onto platforms! Whenever you damage an enemy, they make a sound that sounds like a cough, and whenever you kill it, it makes an elephant noise. Also, the enemies are very repetitive and not very imaginative (You have to fight a bubble. Seriously. A bubble. And it doesn't pop in one hit!). Avoid this overrated game, and instead get another overrated game that's actually good (Like SMRPG or Zelda or Secret of Mana). I found this to be a really fun game. It has a lot of humor and the story is interesting. The bubbles are pretty random (kind of a lame idea for an enemy). This would be 10 times more frustrating without a walkthrough. I don't like the platforms because they don't have shadows -- it is hard to know which direction to jump. 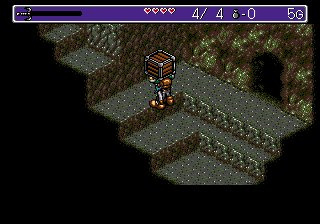 The puzzles that involve platforms take a lot of time to beat. I don't like how sometimes if you are too close to a tree or wall and try to slash at an enemy it won't work so you have to move away from the trees or wall to hit the enemy. @Qwikman: You'll get used to the control man, give it another shot. I had the same initial impression as you (except for the bubbles, zelda/mana has bubbles as well IIRC and there are many other enemy types) but I stuck with it and ended up loving it. The story, characters and dungeons are areas where this game really shines. It offers a much more vivid, and well scripted world than Zelda or Mana. 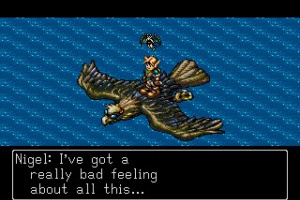 The voice samples are pretty hilarious though, every single enemy makes that damn scream when killed. With the exception of the music, this game is NOT good. 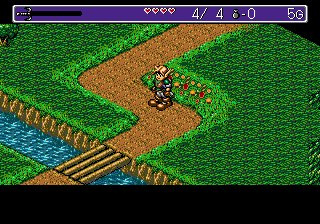 You are never given any directions, and the things you have to do in order to proceed in the game are often the most stupid things imaginable, such as locate a guy hidden behind a bush in a village. Besides, as others have pointed out, the main character looks like a lego version of Link and his main enemies are bubbles! 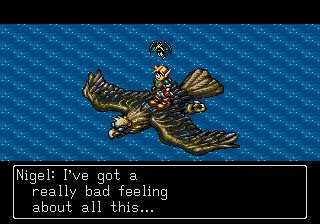 Even the well-written music gets annoying after a while, because of the horrible Mega drive sound ship. If you want a good Mega Drive game, buy Shinobi 3 or gunstar heroes instead. To be honest, they are the only Mega Drive games I have really enjoyed.